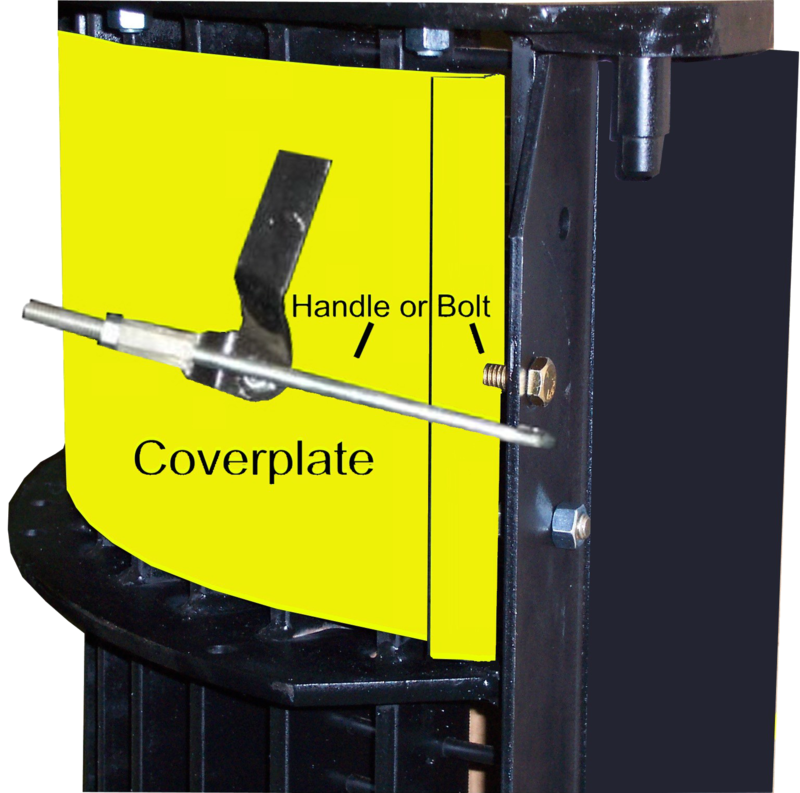 To improve threshing HARVEST has a Cover Plate for rotary concaves. 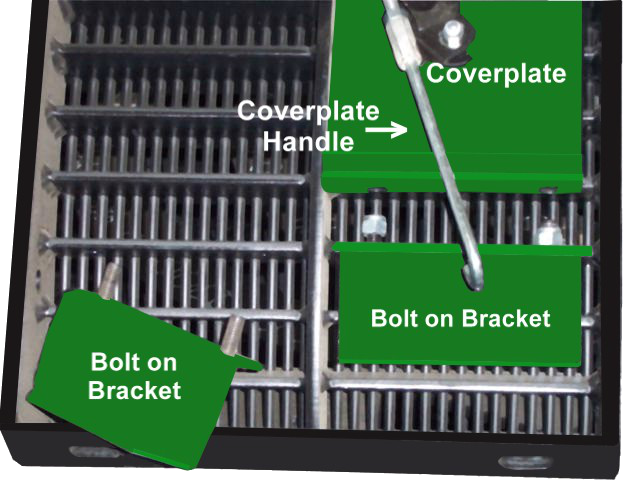 These Cover Plates perform the same function as the Filler Plates on conventional concaves. Many people believe it is the impact of the cylinder bars on grain that does the threshing. The truth is that it is material rubbing on material that does the threshing. You know this if you have ever run a combine as slow as it would go or by cleaning up a corner when straight cutting. You will have cracks, unthreshed heads and whitecaps all at the same time. Then, when you increase the travel speed, all the problems disappear. The only thing that changed was the amount of material coming into the combine. The rotor drives the heads through of the concave before they are threshed. This leads to unthreshed heads. They will overload the return, end up in the tank as dirty sample or become loss out the back of the combine. You simply have to have something at the front of the concave to hold the heads in place long enough for the rub bars to thresh the seeds out of the head. The HARVEST Cover Plates fit under the concave and hold the heads in place. Depending on how difficult the crop is to thresh you’ll add as many Cover Plates as are required to achieve proper threshing. 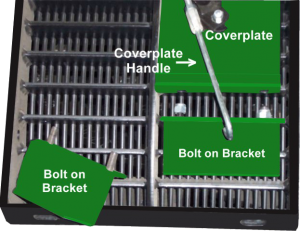 If you grow more than one kind of crop, and harvest in various conditions, HARVEST Cover Plates make it possible for you to quickly and easily fine tune the threshing area of your concave to get the full performance out of your rotary combine without changing concaves. 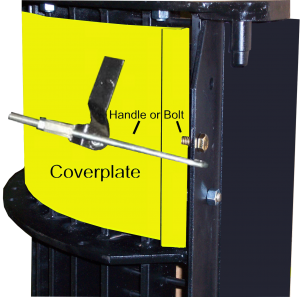 For fast and easy installation and removal of HARVEST cover plates are available with a new locking handle. Handles are also available to retrofit your existing cover plates. Remember a conventional combine can’t thresh properly without Filler Plates and neither can a rotary combine without Cover Plates.